Traditional Media Companies are dead. “N57” is a “World Class” mobile music technology, content creation, delivery network and Services holding company. N57 is a horizontal “Umbrella Conglomerate” designed with multiple vertical divisions (subsidiaries,) each with revenue generating capabilities. Primary to the company’s core principles is “Honesty” and protection of all Artist Content. N57 will also “give back” a significant portion of its benefits to the Philanthropic world. N57 is designed as the solution to the disruptive, transformational disarray that music, media and entertainment companies find themselves. Entertainment is no longer a passive experience, but rather is now about capturing a Database of ongoing fan engagement. Music entertainment now requires new and uniquely authentic content along with new delivery techniques and networks. N57 answers and provides the CDN (Content Delivery Network) and the MCN (Multi-Channel Network) necessary to re-invent, re-imagine and re-build the Recording Industry utilizing the old “Hollywood Studio” model in new and unique ways to bring Fans to Artists and Artists to Fans. N57 will create a “Fan Based Feeding Frenzy” of music, video, and film creation for fun and profit. This will be accomplished by encouraging Fans and Artists to Engage and Participate at levels never before offered by traditional media companies. N57 will build and manage it’s own Studio Lot and Live Venue filled with Recording Studios, Rehearsal Halls, Performance Studios, Radio Stations, Internet and non-traditional delivery and recording capacity. This initial Live Event Studio and Performance Venue will be located in the Los Angeles general vicinity. N57 will provide 30 Channels of Content Distribution not limited to, but including Music, Videos, Concerts, Competitions (“Battle of the Bands”,) Technical Instruction, Music Instruction, Infotainment programs, Films…development and production, as well as non-traditional Delivery and Services. 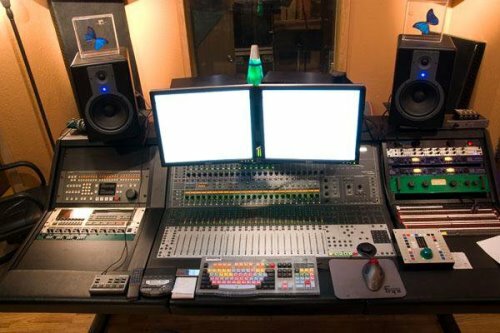 The N57 Studio is designed to Service the Artists and Fans with professional music business education schools and training including, travel, roadies, contracts, deals, concert management and coordination, performance enhancement, artist management, talent development, distribution, publishing, writing music, composing arranging, instrument “voices”, and film production and post-production. Additional locations will be added as required and famous Artists and Entertainers will be brought into the Studios for interview, educational tracks, lessons, performances, etc. Initial introduction of the N57 network will be through a new band called “Slinger” and a its music being delivered to the end user through a free Slinger mobile App that not only provides a Free Single or Two but is also a mobile music game. Fans Engage, Connect, and Share with other Fans who push out Your BRAND. This Game Delivery technique is entirely new to the traditional music-recording label. 5 million plus music bands are initially available worldwide. The N57 Website will attract and drive artists and fan traffic to become the gigantic “hub” of the Entertainment Industry. Artists will directly benefit from fan engagement like never before. N57 is designed with the expansion and growth capacity required to handle the rapidly increasing network volume from its initial build. N57 is designed to be modified and morphed as required and requested by the fans, artists, promoters, sponsors, etc. Marketing and Promotion will utilize all Social Networks, You Tube, Twitter, Facebook, etc. Revenue – Primary revenue will be the Database Metrics, Advertising and Sponsorship as well as Royalties shared with bands, performers, artists, songwriters, actors, directors, and filmmakers. The Network Delivery Model, both traditional and non-traditional, will generate secondary revenues. “Affiliate Dollars” through direction of fans and Artists will generate additional revenues from trusted third party businesses (concert promoters, ticket sales, downloads, TV shows and Feature Films.) Additional revenues will be created by Pay for Play opportunities. The Slinger remix mobile App will also generate significant revenue. N57 will obviously create its own Recording Label. New IP will be generated by the techniques and methodologies developed and utilized by N57 thereby generating multiple patents, copyrights and Trademarks. Unlike less than “above board” competitors, N57 will deliver on it’s promises as long as the Artists do their part and work hard to learn and improve their craft.Unlike troubled competitors who are trying to deliver parts of the N57 model, we will provide “true” non-scripted Reality Television, Radio, TV and Internet performances. Render time: 0.0847 sec, 0.0151 of that for queries.